Visual Atoms and the University of Surrey Centre for Vision, Speech and Signal Processing (CVSSP) jointly particpated in the Kaggle Google Landmark Retrieval Challenge. 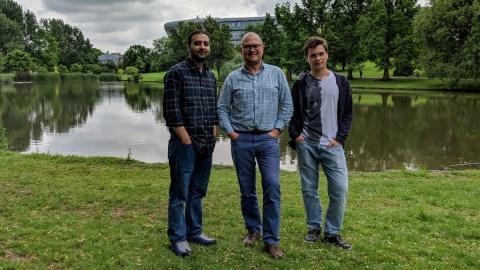 Professor Miroslaw Bober and his team (Mikel Bober-Irizar and Dr Sameed Husain) from (CVSSP) at the University of Surrey won the fiercely competitive challenge to develop the world’s most accurate AI technology to automatically identify landmarks and retrieve relevant photographs from a database. Evaluation was performed on the largest dataset for image retrieval, comprising more than one million photos with 15,000 different landmarks including hotels, bridges, statues and many more. The competition was based on the Kaggle platform, with 218 teams participating worldwide. The team from CVSSP has developed their advanced visual recognition technology for the iTravel (InnovateUK) project. iTravel is a smartphone-based intelligent “virtual journey assistant”, providing end-to-end routing with proactive contextual information to the traveller, including real-time visual recognition through the smartphone’s camera. It will allow users to get a visual fix on their position and see an augmented view of their surroundings. CVSSP is currently testing this technology in Guildford, Surrey, where it has extensively mapped the area.